In the year 1999, the Combat Vets Motorcycle Club was introduced to the internet. Up until the first part of 2001 many of us were led to believe it was a true and established motorcycle organization. Through many turns of events it was found out that CVMC was an internet scam to milk money from Combat Veterans. In the early months of 2001 many of the members found this scam out & alerted one another. 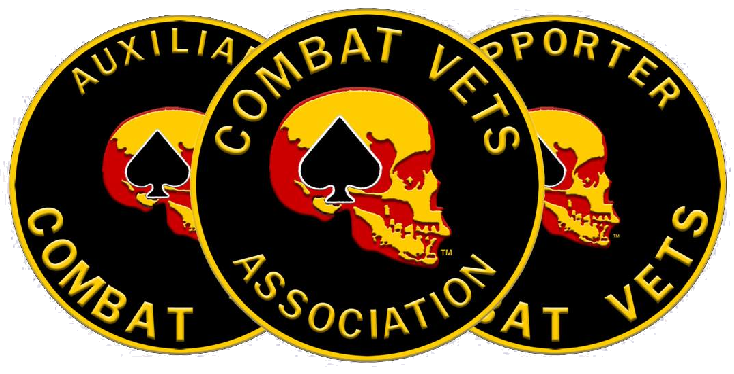 Since we were all interested in the issues of Veterans, 45 members decided to form a Combat Veterans Association. After this was decided, the birth of CVMA appeared as a non profit Association on or about May 1st 2001 & we now will be able to continue with our main objective which is helping Veterans. The 2 main things that brought us together was motorcycle riding & being Veterans from Combat zones or theaters. The original 45 members have adopted a patch to wear indicating that they are the original founding fathers of CVMA.